One of the leading anti-malware solutions extensively reviewed. 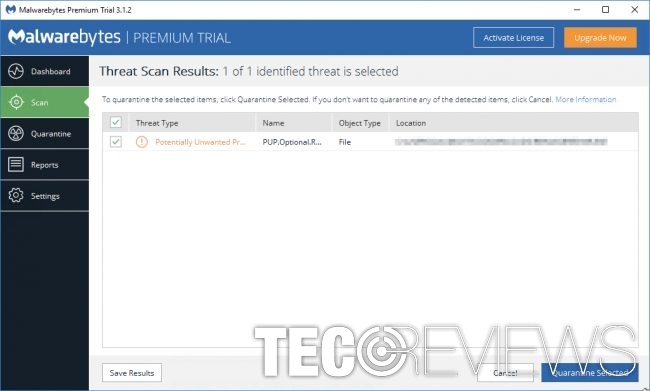 Does Malwarebytes Anti-Malware live up to it's good name? 4 What are the drawbacks of Malwarebytes Anti-Malware? Even if you are not tech-savvy, you might have still heard about Malwarebytes Anti-Malware tool. This popular product was designed by the company of the same name, Malwarebytes. It was founded in Illinois, Unites States in 2008. Due to a thorough analysis of the malware world and addressing ordinary netizens as well as corporate persons‘ needs; the company has achieved significant results. Their products have been appreciated all around the world. Besides several computer security tools designed for Windows, Mac, Android users, let us take a closer look at their perhaps best-known tool – Malwarebytes Anti-Malware. Effortlessly removes ransomware and viruses. It runs in cooperation with other antivirus software. Some tests show bad results compared with anti-virus solutions. Might not work with some other security apps. Real time protection costs start from $40. One of the best free anti-malware tools. Consider using Malwarebytes with other compatible antivirus software. Paid version is quite expensive. It is not surprising that the company has earned million of users‘ trust so soon. Besides the company‘s research of malware. In 2011 HPhosts, the company focusing on website blacklisting joined Malwarebytes. As a result, the program is not only capable of scanning your system for potential threats but ward you off from potentially fraudulent websites. Malwarebytes Anti-malware is available in two versions: free and paid. The primary difference between them is that the latter grants you real-time protection. As for the former edition, you need to update the software and set scans by yourself manually. On the other hand, both versions assist you in locating and terminating less and more elaborate viruses. The software is apt in detecting such pests as adware or browser-based virtual infection. Though they often are labeled as small or medium threats, their outcomes are, nevertheless, as annoying as the consequences after getting infected with more destructive computer viruses. The tool manifests sufficient protection against rootkits, malicious tools, which grant remote access to the device. Another highly positive aspect is that the application does not leave a significant impact on the system. Unlike some of the applications which drain CPU memory resources which result in slower system application loading and initialization of other system processes, you can continue your activities while the software performs a scan in the background. Malwarebytes Anti-malware is perfectly compatible with anti-virus programs as well. Mac OS and Android users are not excluded as well. The company offers Malwarebytes Anti-Malware for Mac version. As for mobile users, the mobile version of the tool does not only scan installed applications and files but monitors which and how much information installed applications collect about you. Also, it monitors the incoming and outgoing data traffic. The mobile version also inspects email attachments as a prevention from ransomware. These features are especially practical if we take into account still significant high vulnerability of mobile devices to virtual threats. 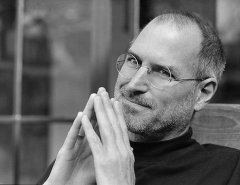 Versions for Mac OS and mobile devices; low technical requirements. Paid version grants real-time protection against ransomware and other sorts of malware. Diverts you from insecure domains with poor ratings. Free version professionally locates all sorts of malware: from PUPs to backdoors and rootkits. It runs in cooperation with anti-virus programs. Exclusion list function lets users manage the quarantined websites. What are the drawbacks of Malwarebytes Anti-Malware? Naturally, free version contains more disadvantages that the paid version. As mentioned previously, manual update process might bother users who are used to tools which perform this function automatically. Furthermore, the free version scans only already installed programs. It does not substitute anti-virus tools. If you consider purchasing the license of a premium version, then you do not necessarily need to install an additional anti-virus program. Speaking of the premium version, its real-time protection might annoy users who are used to visiting movie streaming websites or domains with improper SSL security certifications. Though such domains are often overcrowded with ads, they are not necessarily malicious; nevertheless, the tool puts a ban on them. In overall, it may turn out that you cannot access a lot of websites. On the final note, the free version does not contain a scheduled scan feature. 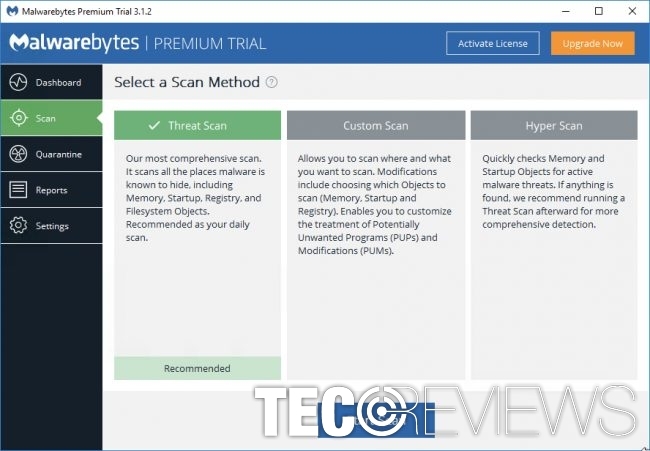 Malwarebytes Anti-Malware justifies its title as one of the best anti-malware tools. Since the company provides several versions, a broad audience of users will find the right tool matching their needs. If you are ready to opt for permanent protection, you may either purchase the premium version for 39.99 for one device. Despite what version, you choose you will be assured that the tool provides professional anti-malware and its removal services. 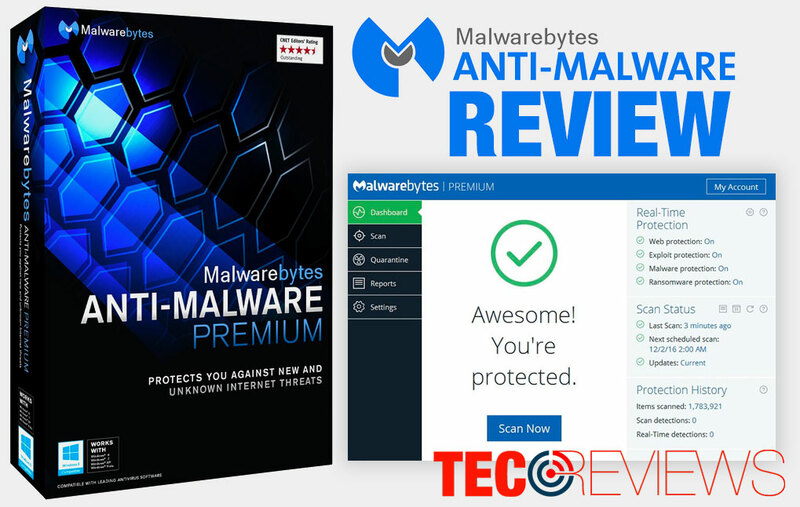 On the final note, Malwarebytes Anti-Malware earns 4.6 stars at TecoReviews. ^ Malwarebytes. Wikipedia, the free encyclopedia. ^ AV-TEST AWARD BEST REPAIR. AVTest. Antivirus, Security Software, and Antimalware Reviews. ^ Max Eddy. Malwarebytes Anti-Malware for Mac. PCMag. ^ Malwarebytes Anti-Malware. Google Play web store. ^ Jill Scharr. 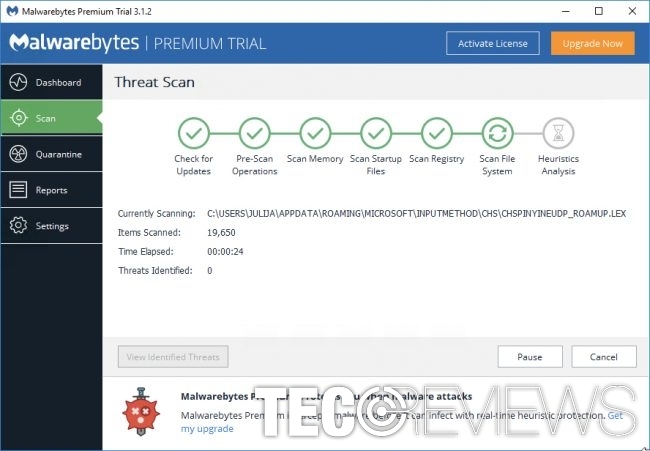 Malwarebytes Anti-Malware Free Review. Tomu2019s guide. Tech Product Reviews Top Picks and How To.